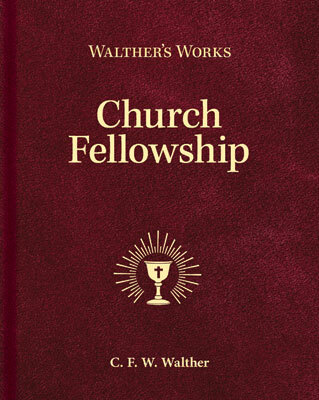 The latest volume in Concordia Publishing House’s Walther’s Works collection, Church Fellowship, is now available. From 1857 to 1884, C.F.W. Walther wrote numerous articles and speeches dealing with Lutheran identity and unity in doctrine and practice on the basis of Holy Scripture and the Lutheran Confessions. For the first time, these previously scattered, inaccessible, and forgotten writings are being brought together in one volume. This volume helps clarify not only what Lutheran identity was in the nineteenth century, but also what it means to confess the Christian faith in the twenty-first century, in harmony with the Church of all ages. Read what others are saying about the volume HERE. 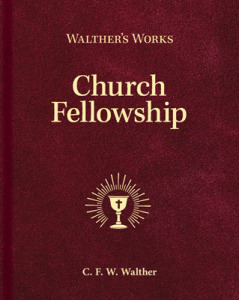 Purchase Walther’s Works: Church Fellowship by calling CPH at 800-325-3040 or by visiting www.cph.org. Join the Walther’s Works subscription program and save 30% on each book! Carl Ferdinand Wilhelm Walther (October 25, 1811–May 7, 1887) immigrated to the United States of America from Saxony (a German territory) in 1839. 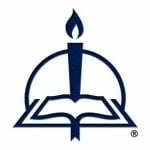 With others, he formed The Lutheran Church—Missouri Synod in 1847 and became its first president, as well as a professor and president of Concordia Seminary (now in St. Louis). He is remembered as “the American Luther” due to his defense of distinctively Lutheran doctrine and practice in the midst of a culture that opposed these.